Jackeline has lived in El Paso for more than 20 years. Everyone in her family is documented, except her. She’s been trying for years to regularize her status, without success. Her only options are returning to Mexico or waiting for deportation. EL PASO, Texas- Her neighbors were alarmed when a Border Patrol vehicle parked in front of Jackeline’s home. “Are you okay Jackie? What’s going on?” one next-door neighbor asked on the phone. “It’s my son,” Jackie, who was born in Mexico, replied calmly. 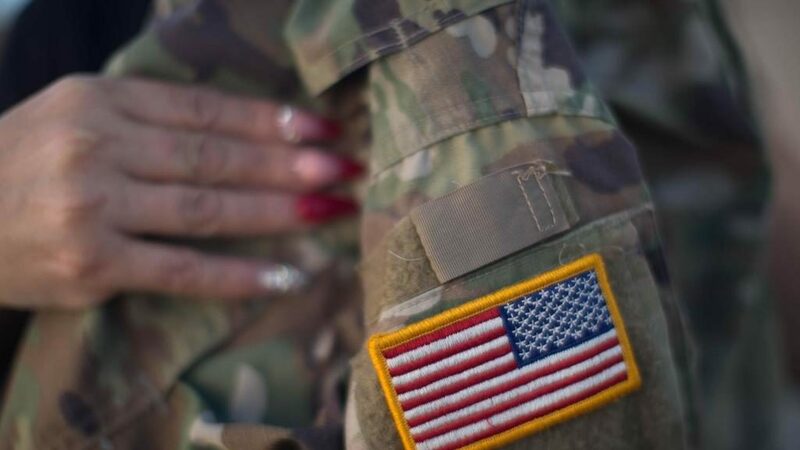 Two of her five children, all U.S. citizens, are in the National Guard and one is deployed to the border under President Donald Trump’s campaign to help the U.S. Customs and Border Patrol (CBP) agency. Her 20-something son was visiting. “That’s very difficult, that they serve in the National Guard. Can you imagine if it was me who was crossing (from Mexico) and my son was on the other side? I have mixed feelings that I could not explain,” Jackeline said. Jackeline first entered the United States in May of 1993, on a tourist visa. She had just married. The couple then decided to stay and live in the same house where they still live, in a Hispanic suburb of southeastern El Paso very close to the border. Her neighbors’ husbands and children often at the CBP or the Immigration and Customs Enforcement (ICE) agency. At first, she was afraid, feeling surrounded. “But not later. It becomes normal,” she said. Years later, during one of her visits to Mexico, Jackeline decided to try to renew her visa, but she was denied. She then tried to return using a false passport but was detained. She could have avoided all those troubles because her father was a U.S. citizen, but never filed the required papers for either Jackeline or her two brothers. They could think of only one solution. On Thanksgiving night of 2000, while the family gathered for the traditional feast, they decided that she should cross the Rio Grande, precisely where her son is now deployed. From that night on, she has carried the weight of a word that has caused her much anguish – undocumented. Jackeline now does not stray more than a few miles from her home. Her husband set up a Zumba studio in their back yard, where she leads classes for about 15 young women. She drives, but only close to her home because if she’s stopped by police she can produce her New Mexico driver’s license, valid until 2020. But she avoids highways, where Border Patrol agents commonly establish check points, to avoid being detained. That’s why she could not be there for her mother’s funeral in 2008 in Ciudad Juarez, on the Mexican side of the border. And why she could not attend her father’s funeral six years later, also in Mexico. For years, vacations with her children have been limited to renting a room in the same hotel because it’s close to home and has a pool with a water slide. Oscar noted that when he used to visit his parents in Juarez, he would take the children but Jackeline would remain home alone. “When they leave for vacation or something, I try not to even answer the phone. I shut myself in the house for three or four days. I don’t go out, nothing. I stay here. I can’t go out, and I don’t want to take the risk,” she said. Jackeline once won a cruise to the Bahamas at the company where she worked. And she celebrated her luck with co-workers at a restaurant. “They took me to a really nice restaurant, but I could not tell them that I could not leave the United States,” she said. She dreamed of going, but in the end her husband and mother went on the cruise. In the last few years, Jackeline has been preparing herself emotionally for the possibility of being detained. She’s been giving religious talks, become a health volunteer and is taking one course on motivation and another for becoming a life coach, either in El Paso or Ciudad Juarez. She has delayed her return to Mexico, from where she would apply for a U.S. pardon for her illegal border crossing 18 years ago, while waiting for her youngest child, an eight-year-old daughter, to turn 11. But the family already has a plan in case Jackeline is detained and deported: They would rent an apartment for her in Juarez, and visit every weekend. 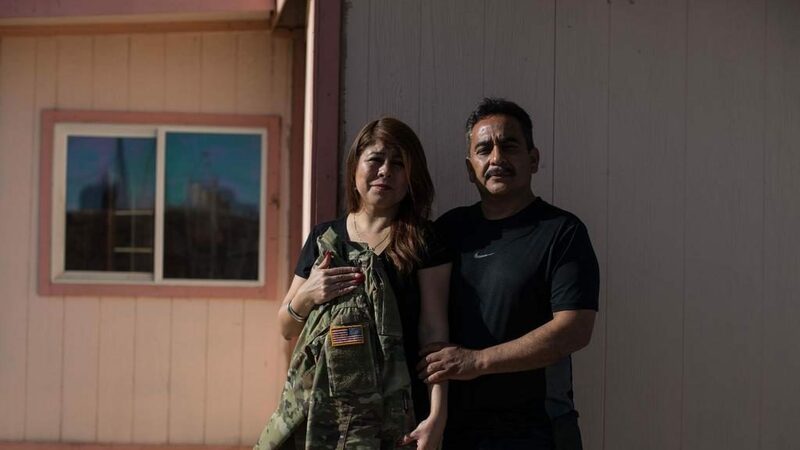 Jackeline said she did not initially approve of her children’s decision to join the National Guard, but did nothing to stop them. At the ages of 17 and 18, they already knew that they wanted to serve their country. Now she’s very proud of them. 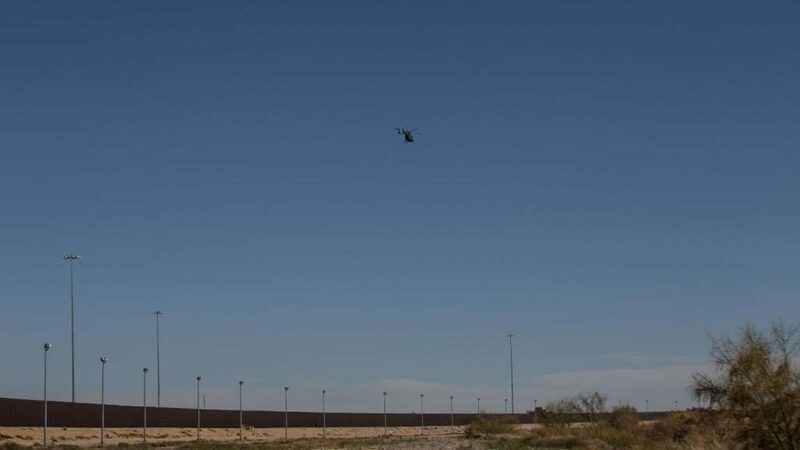 While she chatted, one of her sons arrived, the one deployed in the Presidio area to support CBP agents patrolling the border. He says half of him feels American, but the other half is definitely Mexican. Jackeline cannot hold back her tears as she listens to him. A version of this story is available in Spanish here. Almudena Toral is a visual journalist and filmmaker currently based in Miami. She heads the enterprise video team at Univision News Digital – the team covers the U.S. and Latin… Read More. Patricia Clarembaux is a Venezuelan reporter currently based in Texas. She is a Breaking News reporter at Univision News Digital. As a journalist she has always been interested in human… Read More.